I teach Vinyasa Flow Yoga! I practice very gentle, slow and detailed approach to every student! Remember - Yoga Is For Everyone with the right teacher!!!! Most of all I enjoy the positive outcome! When students say how much they enjoy a class or how great they feel after start taking my classes, there’s no better reward than to hear these kind of words!!! I can get bored by Yoga... BUT... Eva’s personalised yoga sessions really brought home to me it's benefits. Eva has made me rethink how I need to rehabilitate my body. I had spinal surgery last year and naturally I was sceptical of many forms of yoga and the instructors leading the sessions. Eva designed my yoga routine to suit my specific needs. She balances professional coaching with empathy, attention to detail, encouragement and a great sense of humour... Eva’s style and methods has made yoga relevant, effective and FUN. Eva is not just a great instructor, she is a lovely friend! She is very professional, and you will not be dissapointed! Although Vinyasa is a physical form of yoga, Eva will support you from the level you are at! She inspired me to continue yoga-practice at home by giving me a personalized practice and follow up support! She’s very good at giving you instructions and support your alignments! After her class I always feel relaxed and rested! Can not say enough great things about Eva. She introduced me to Vinyasa Yoga and completely changed my life. I take her private classes two times a week for 60 minutes long and it makes me feel great every time. I had done Yoga in the past but nothing compared to what Eva introduced me to. Not only is she knowledgable, helpful, and thorough; she is friendly, warm, and a general joy to be around. I can not say enough great things about Eva’s classes and her teaching methodologies. It is simply fantastic! Eva is a wonderful teacher that guides students through a slow engaging flow. She provides plenty of options for all levels, and her classes are welcoming to a beginner yet provide a challenge to an experienced yogi. She teaches a mindful awareness to the core and helps students to build core strength in any pose. She brings laughter to the practice and the joy of being human on our mats. 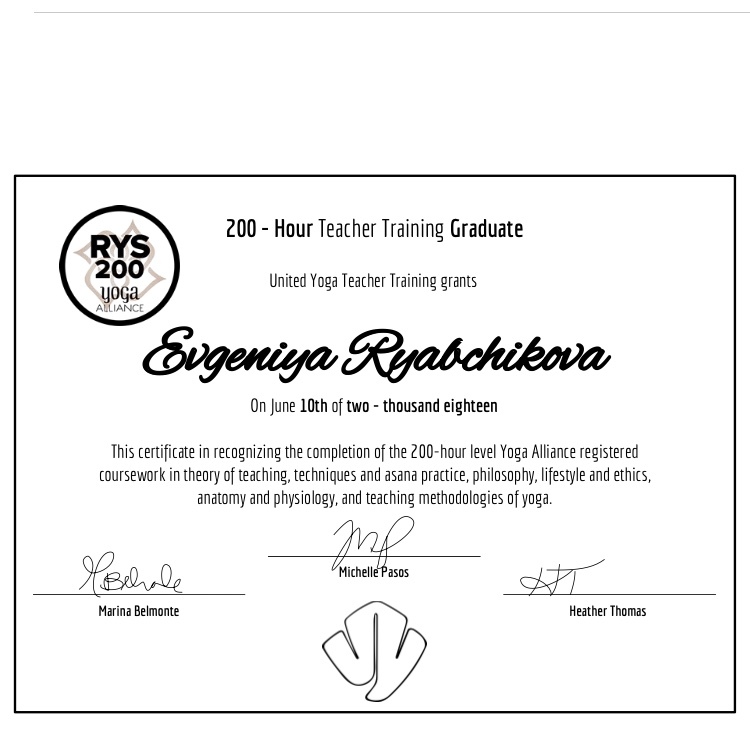 I highly recommend Eva to people new to the mat and long time yogis as well. Eva makes yoga accessible for the beginner as well and the more seasoned practitioner. She always asks new students if they have injuries or issues so she knows to teach them modifications if needed. She obviously knows her anatomy, and explains how the poses benefit the parts of the body. She teaches to who is in front of her instead of just a rote practice. Every class is different depending on who is there. Plus she gives the best neck rubs in Savasana. My first class is usually free! Our yoga practice starts with some assessment tests and assignment. Also we setting up goals and clarify some expectations! 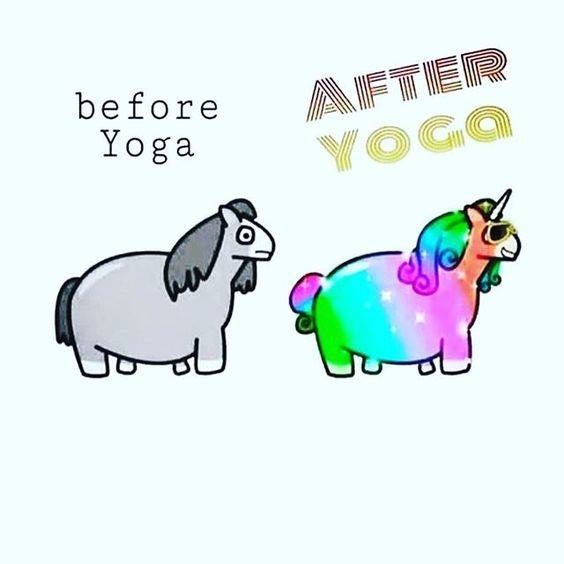 Always remind new students that YOGA IS FOR EVERYONE!!!! 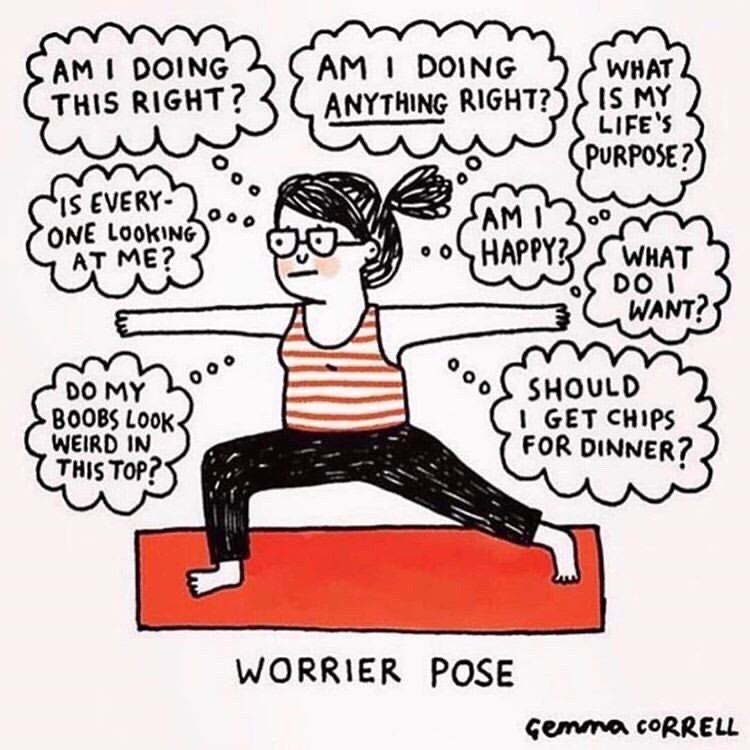 I’ve been enjoying yoga for quite some time and was practicing some poses and philosophy of yoga itself. After giving birth to my daughter, we started to take yoga classes together and I realized how much I can enjoy it even with the kid. I always liked teaching and sharing my knowledge with others and I think yoga represents the idea of sharing, compassion and love in its best way. When I started to teach my first classes, I realized how much satisfaction I feel after each class and this feeling makes you really really happy. Any type, any age, any demographic group is good to work with for me. I really think each person is unique and i can design a great yoga class for any tips of student. The studio where I teach organized really nice Valentine’s Day event with some flower bouquets making, some yoga pracrice, some meditation and food! Look for professionalism combined with open heart and mind!